Old Bahama Bay Resort & Yacht Harbour combines Bahamian charm and luxury, Old Bahama Bay features 72 spacious beachfront Resort Condo suites, a 62 slip full service marina, oceanfront pool, on site restaurants, stunning beaches, and the region's finest fishing, snorkeling, diving, and boating activities. Our owners and guests have everything they could want in a tropical Caribbean vacation, at no additional charge - including complimentary paddleboards, kayaking, snorkeling, tennis courts, bicycles, fitness center, and so much more. 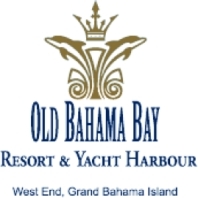 Situated directly on the beach at the western-most tip of Grand Bahama Island, Old Bahama Bay is just 56 miles due east from Palm Beach, Florida and is the ultimate getaway for tranquility, relaxation, adventure and friendly service. The resort has a barefoot elegant ambiance with an out-island remote feel, coupled with the convenience of an on-site private airport featuring a 6500 ft airstrip, with major destination amenities and an international airport in Freeport - just 26 miles away.